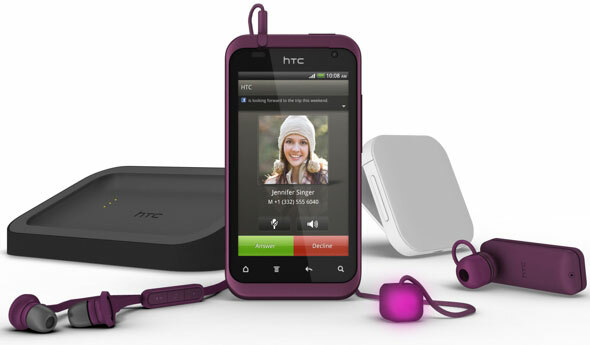 HTC has today unveils its newest Android smartphone which targets the female consumers and comes in plum color design, accompanied by earphones, a Bluetooth headset, docking station, a “sports armband” and a “Charm cable” has a small a small cube which lights up when you receive a call or message. HTC Rhyme has a 3.7-inch (800 x 480) touchscreen display, boosted by a 1GHz Qualcomm and Adreno 205 graphics, it has 768MB of RAM and 4GB of of internal storage space. It is also has GPS, WiFi, Bluetooth and a 5-megapixel rear-facing camera with LED flash and a front VGA camera. 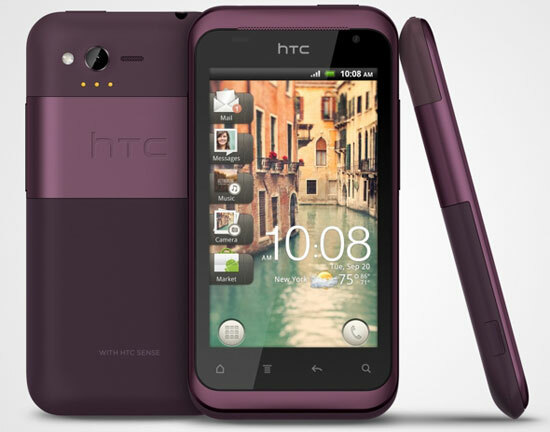 HTC Rhyme comes pre-loaded with Android 2.3 and latest version of the Sense UI 3.5 on top, plus HTC Watch video streaming service. The phone will be launch exclusively through Verizon, starting from September 29, while in Europe and Asia is expected in October.